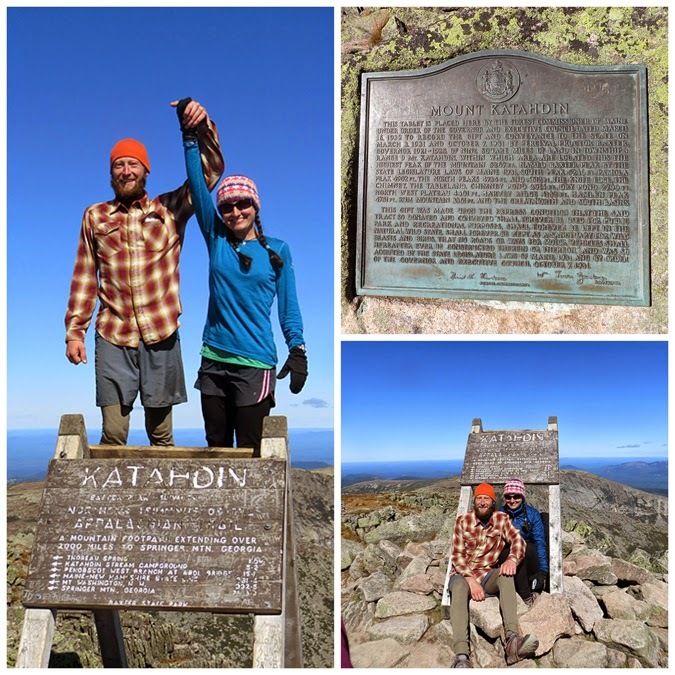 - On Friday morning, Kyle and I headed into Baxter Park and drove the Tote Road to Katahdin Springs Campground to accompany Whitney and Kenny five miles to the summit of Baxter Peak. 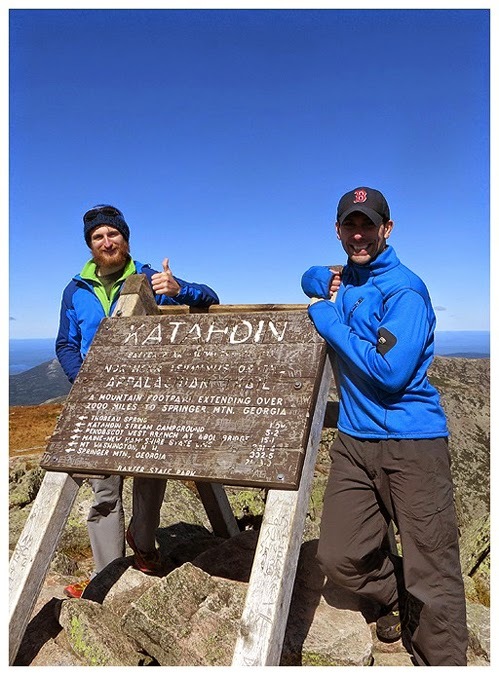 It would be roughly mile number 2,175 to 2,180 of their Appalachian Trail hike which began on March 26th. - The weather was very chilly as Kyle and I headed to the Birches. 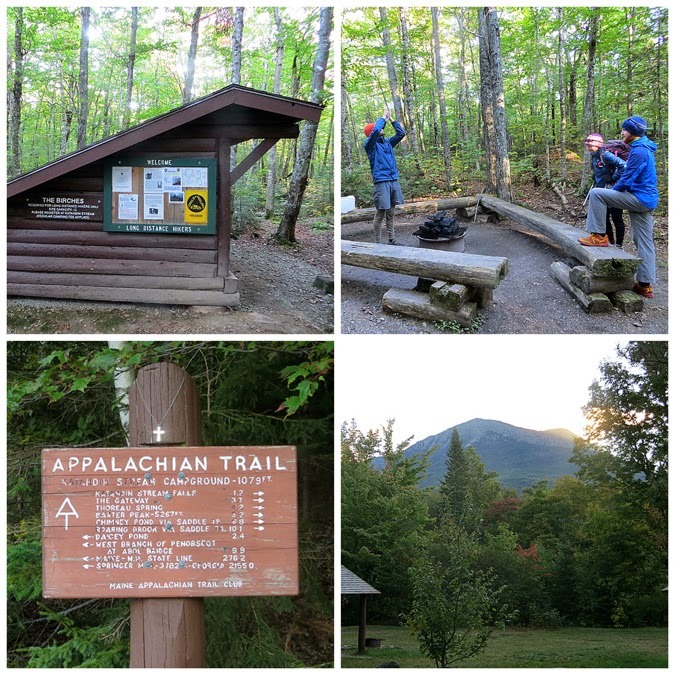 The Birches is a lean-to and tent site that only long distance hikers get to stay at before they make their final assault on the summit. - Kenny had a big fire going so we warmed up in front of it for awhile before putting the fire out and heading over to the Hunt Trail around 9 a.m.
- The first mile of the Hunt Trail has moderate grades with good footing through the woods. 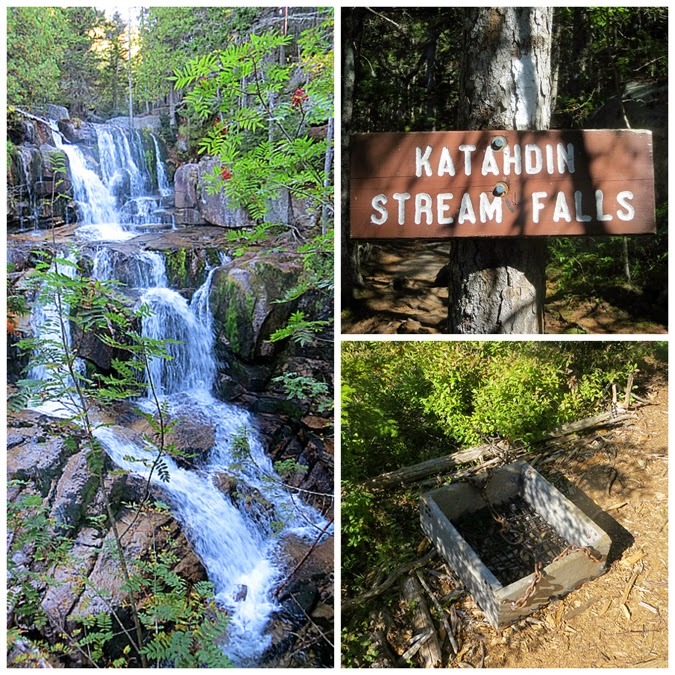 The trail soon crosses Katahdin Stream and heads up along the falls, where there is a herd path to catch a glimpse of the beautiful waterfall. 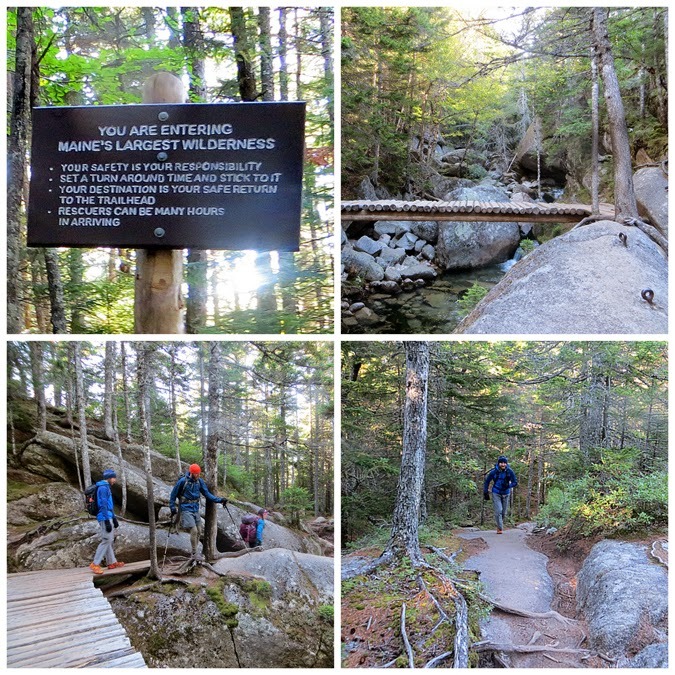 From here the trail becomes steeper and rougher with spots of black ice and frost which made the boulders a little tricky to navigate in places. 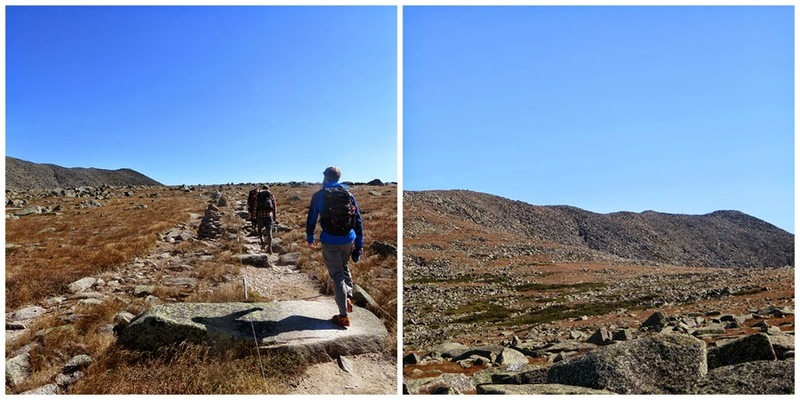 - Around mile 2.5 the trail pops out above treeline and ascends a long narrow ridge called the Camel's Hump. 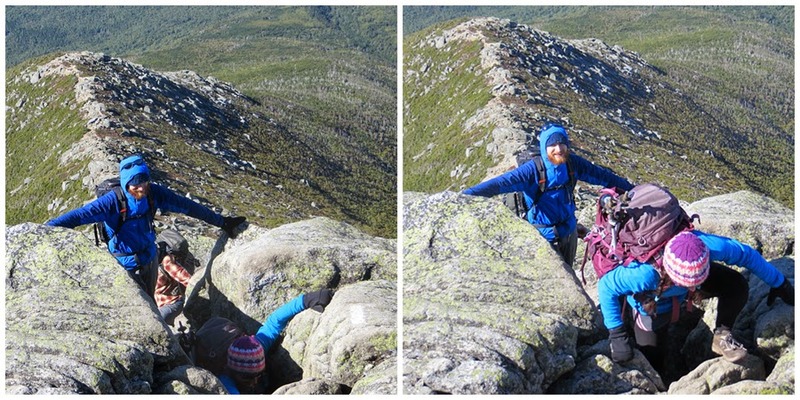 It was windy and chilly above treeline, temperatures were in the mid to high 30's with a stiff 15-20 mph breeze. 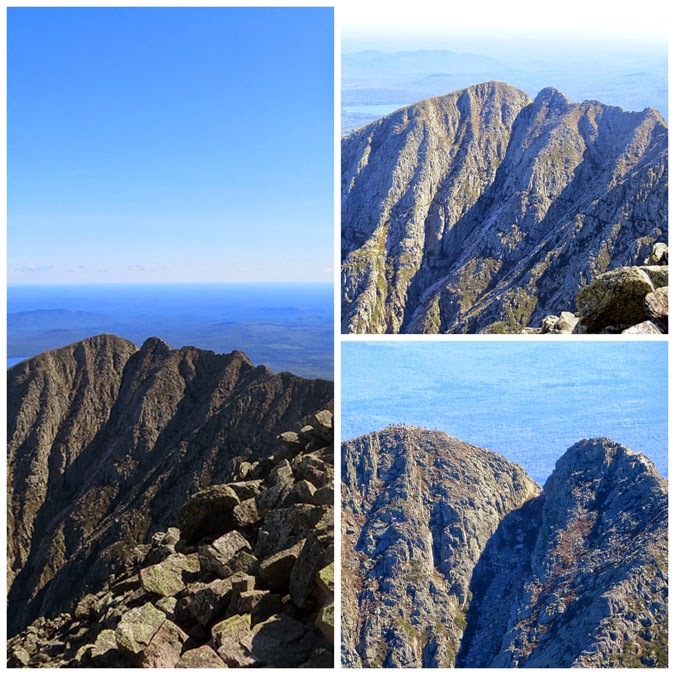 However, for the first time in over a week Mount Katahdin was completely in the clear under bluebird skies with 100 mile views! To the south you could see dozens and dozens of lakes and ponds and no hint of civilization, just green valleys and mountains. 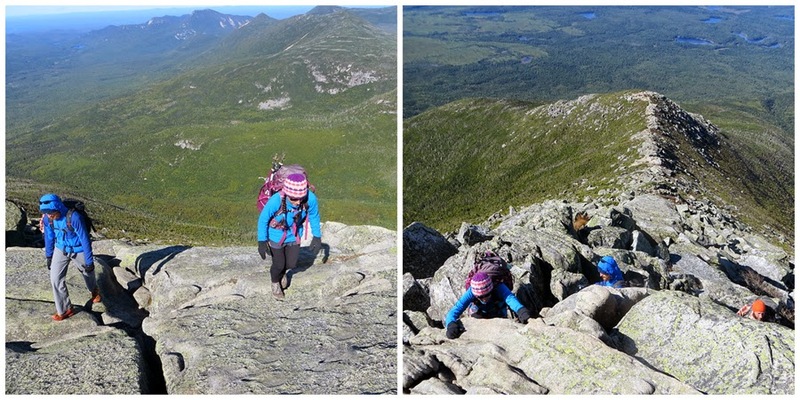 - The hike up the southeastern ridge of Katahdin was a lot of fun rock hooping, scrambling, and hiking up various sized boulders. 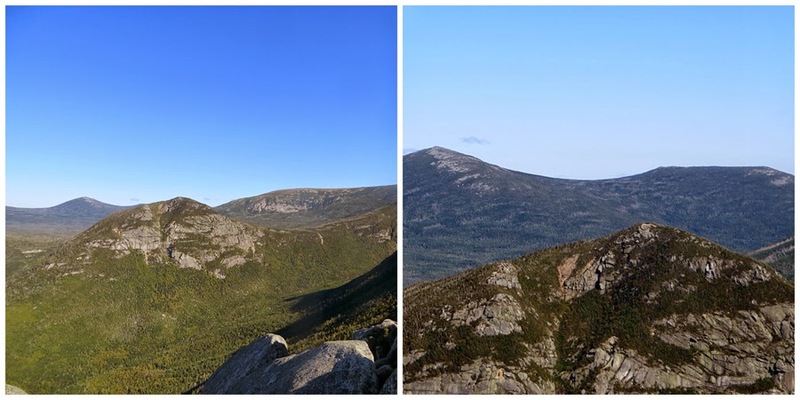 The steep ridge all of a sudden flattens out at 'The Gateway' where the trail very gently ascends through the Tablelands over the last mile to the summit of Baxter. 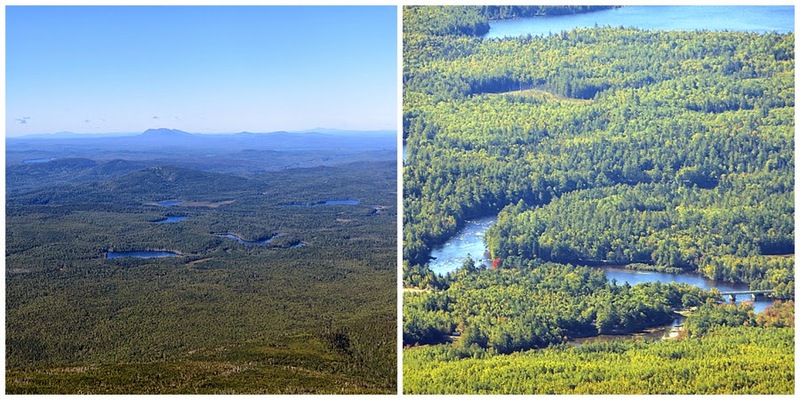 The tablelands is like Monticello Lawn below Mount Jefferson, except about a thousand times more expansive! 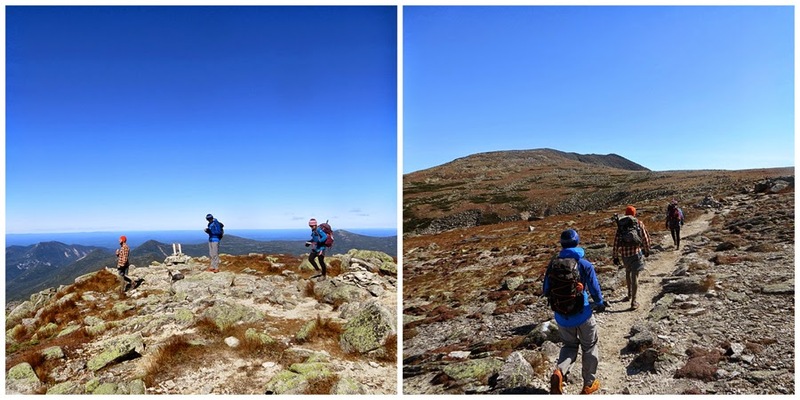 - The wind ended up dying down as we hiked the final mile to the summit. Whitney and Kenny couldn't have picked a better day to finish. Kyle and I went up ahead of them to take pictures of their final tenth of a mile hike to the finish line. 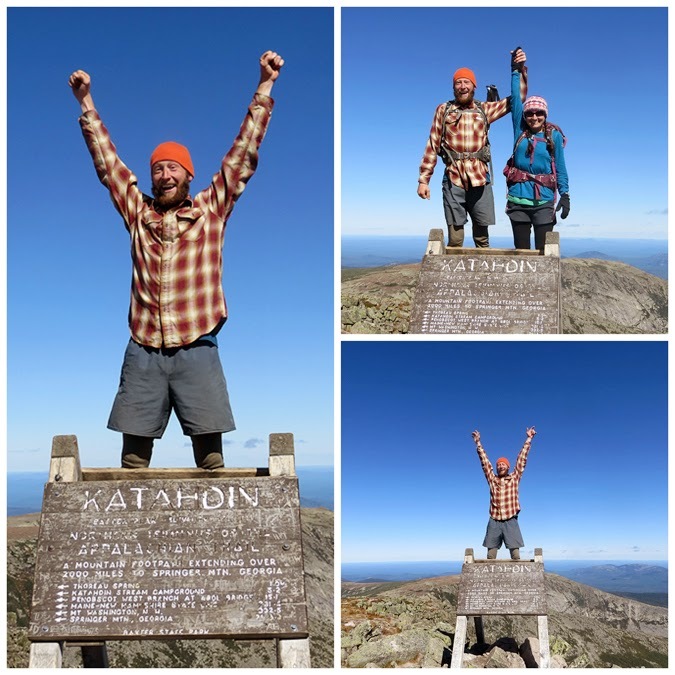 It was an amazing moment and I was so happy and proud for my friend, who, coincidentally, I had been lucky enough to meet just over a year ago in Baxter State Park. 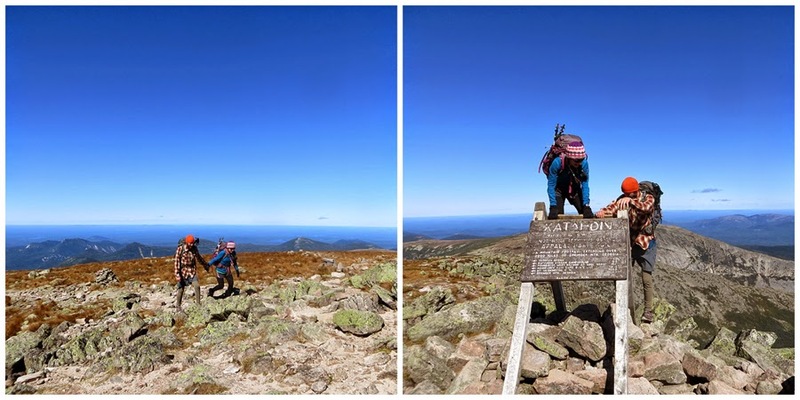 - The other thru-hikers that just finished cheered them both on as they kissed the summit sign and climbed to the top of it and raised their hands high in the air filled with joy. 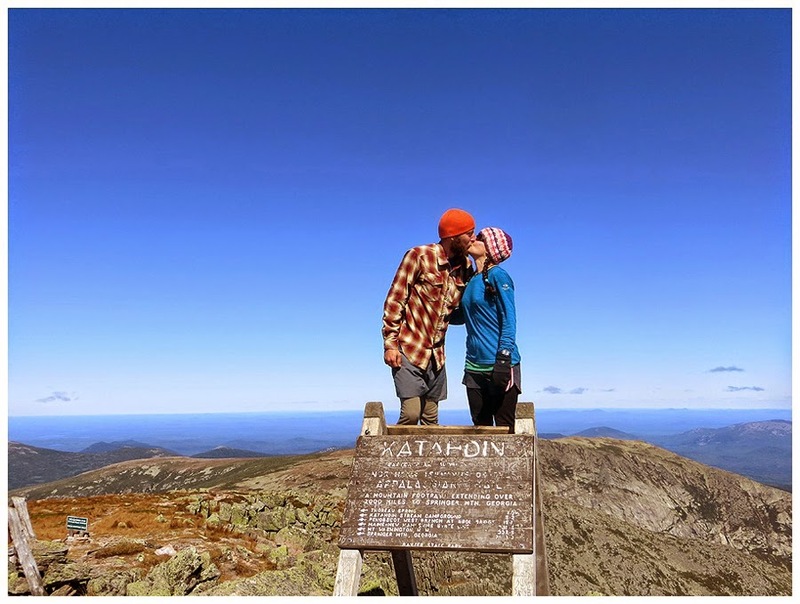 - We hung out for awhile on the summit, relaxing and watching other hikers finish their thru-hikes. There were probably around a dozen who finished while we were up there. 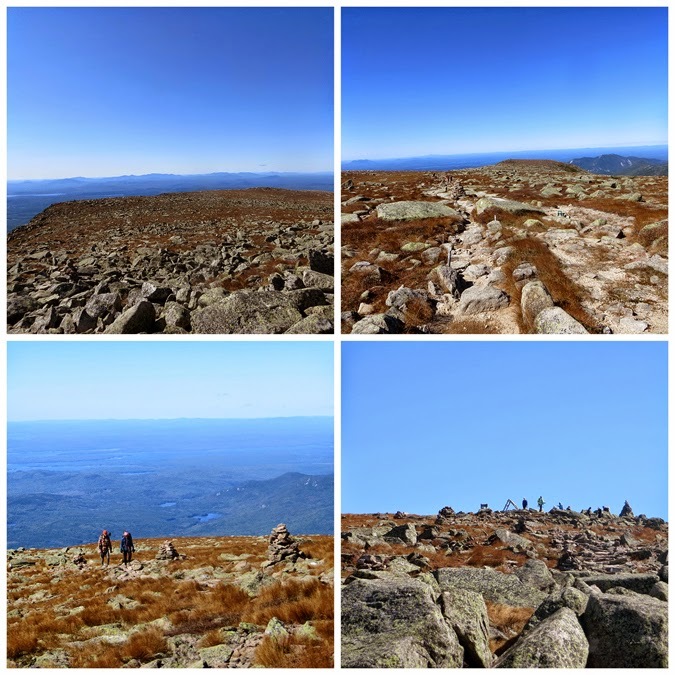 Everyone was enjoying the moment and enjoying the big views from the 'cathedral' of northeast hiking. 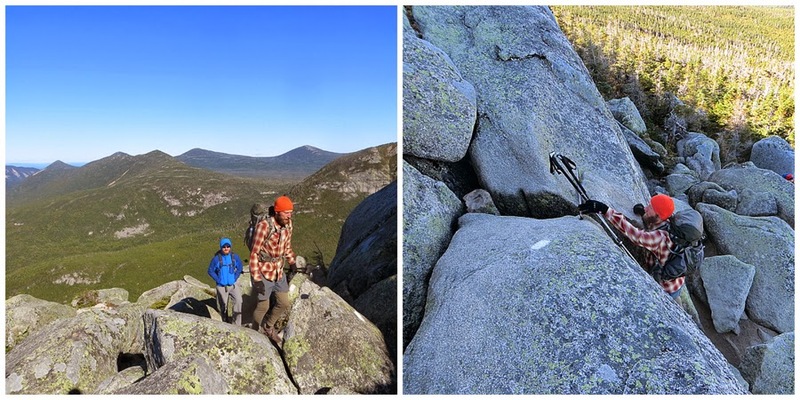 - After awhile I headed back down as Whitney, Kenny, and Kyle hiked over the Knife Edge. Kyle and Kenny had never done the Knife Edge and I told them to go do it and I would run down, grab the car, drive the Tote Road, and pick them up at Roaring Springs. What a way to celebrate your finish, taking on the Knife Edge! 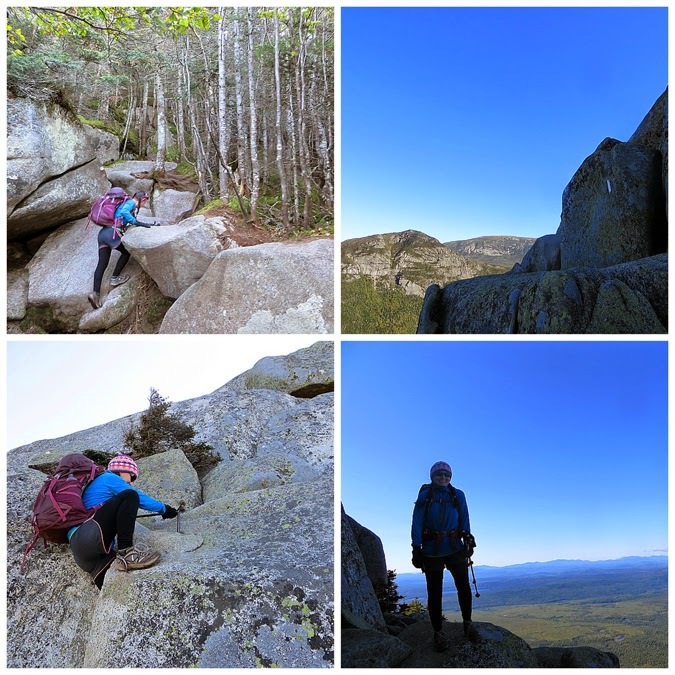 - The descent back down the Tableland and Gateway to Camel's Hump was a pleasant hike with phenomenal views. 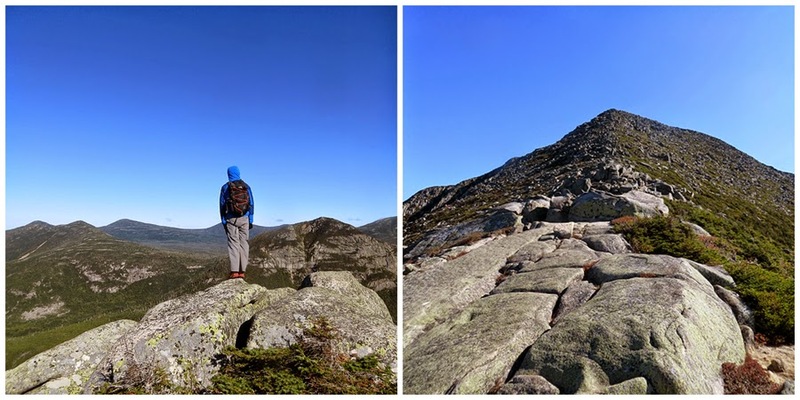 I thought of a text that I received from Whitney last November when she told me she decided that she was hiking the A.T. in 2014. Just under a year later I got to see her finish what she texted me about. 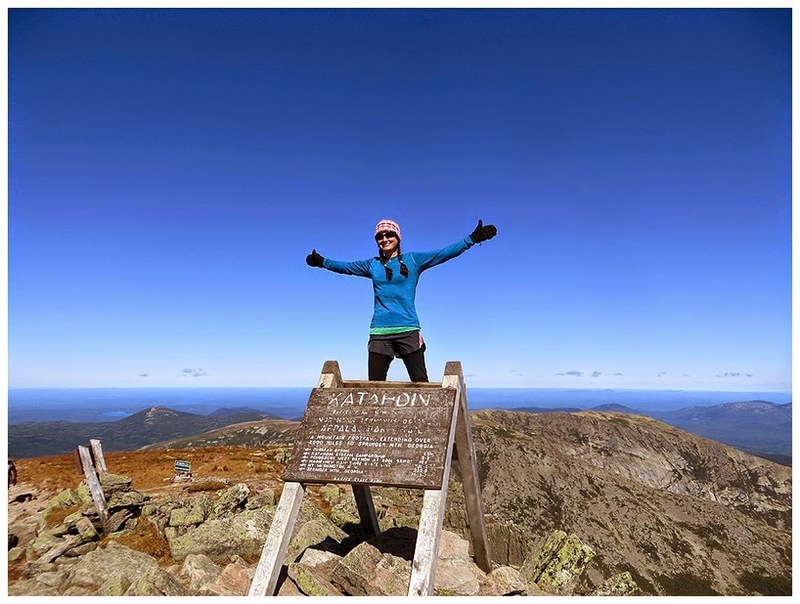 She did it, unbelievable, she is the definition of a Super Hiker! Wow, what a day to finish - Congrats!